What’s In My Mailbox? Real Techniques! I received another pretty little package in my mailbox this past week! This one was very much looked for, as I LOVE the item I purchased previously from this brand. It was about time that I expanded my reach and try a few other things! So a few weeks back RT was running a really good sale and, since both my mom and I wanted some brushes, I decided to take advantage of a good price! 🙂 So we placed the order and this week it arrived! in order to use on my brows — I am definitely using this brush for the metal side to help separate my lashes. For me, personally, I like my eyelashes to look really dark and thick — but I can’t stand it when the mascara starts clumping the lashes together. 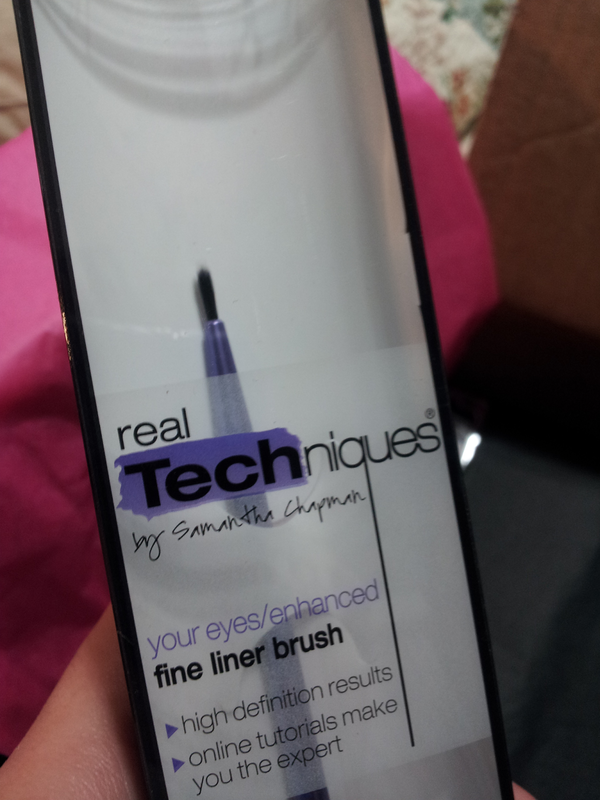 I heard this product highly recommend by Beauty Broadcast and decided to give it a try. I’ve used it a few times already, and really like the results! in my brush collection and since I really enjoy doing heavy liners and wings, I’ve been wanting to get one to start playing with for some time. So, of course, when this was on sale for half the price, I thought it was a steal of a deal! And there were several reviews that I read on this item that really recommended it. 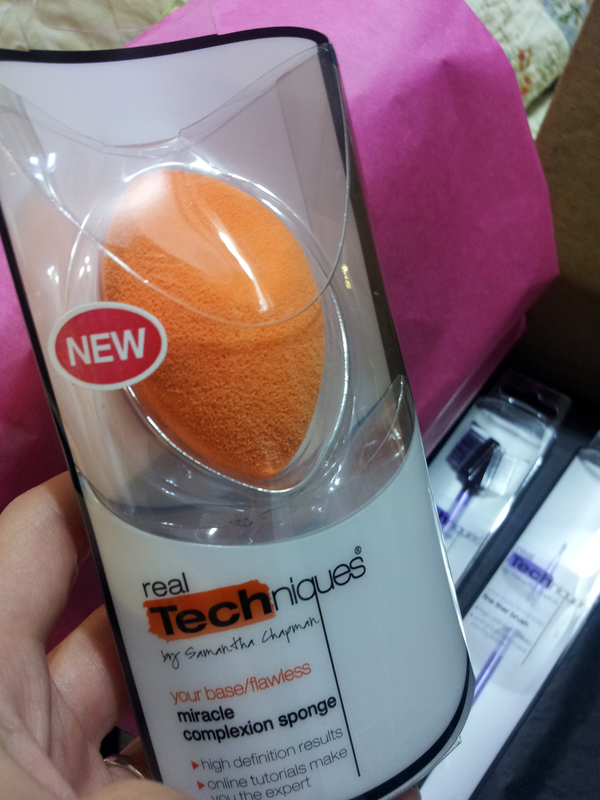 I haven’t used it yet, but it feels like it’ll be easy to work with and it’s the perfect size for lining my eyes. , but it didn’t seem to have the quality to make it last for as long as the BB is known to last. I’ve only used the RT Sponge a handful of times so far. While I really like the coverage and finish it gives to my skin, I kind of agree with the other reviewers. While I’ve never used a BB, just from really looking at the RT Sponge, I can see how it’ll start to crumble as I use it over the coming months. But, at regular price, this sponge is only $6 — so I think it’s good for the price you get it for. take it’s place. I REALLY like this brush — and I’ve only used it two or three times! It applies my blush flawlessly and blends it into my skin, really giving me the appearance of just having a natural blush on my cheeks. If you’d like me to do a more in-depth review on one or more of these products, just let me know in the comments below! 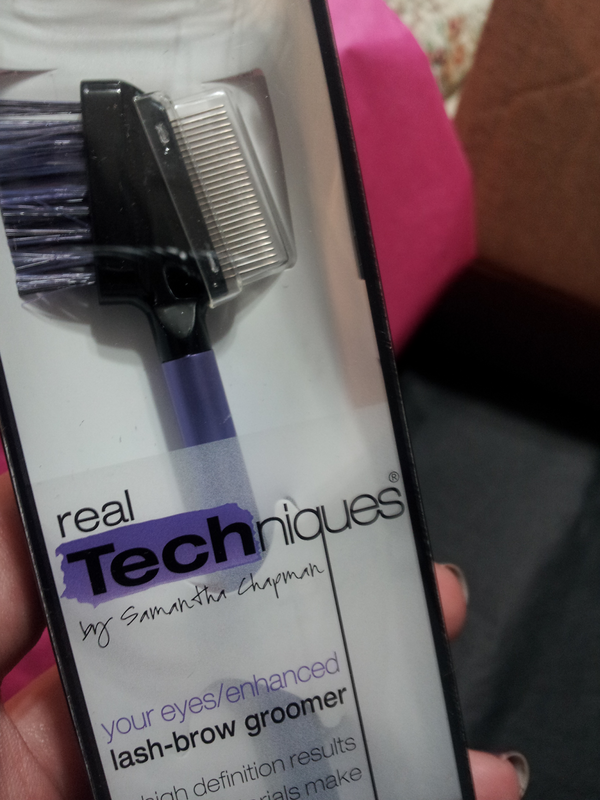 Have you bought a Real Techniques brush? If so, which brush to you own? Do you have a favorite? I would like to know more about the first two items and how they work. How are they used and do they seem to work well? ahhh!!!! I have these and they are my favorite makeup things in the entire world. 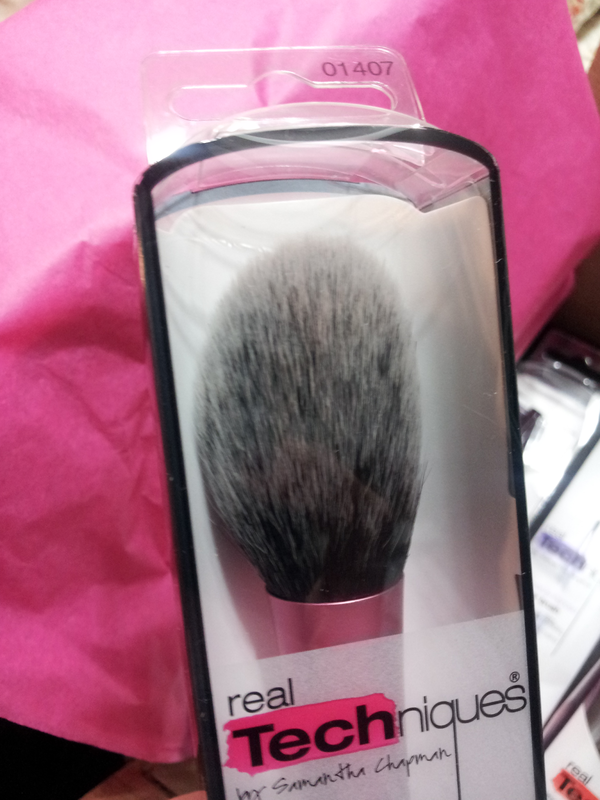 Is there even such a thing as Holy Grail brushes? Luz – Haha, yes, I would say so! I love my fine liner brush, blush brush, and makeup sponge — I use those 3 every time I do my makeup. LOVE them!